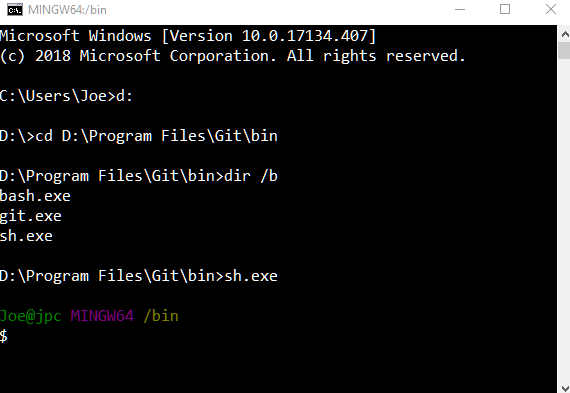 For windows system, Git provides a BASH emulation to run Git from the command line. 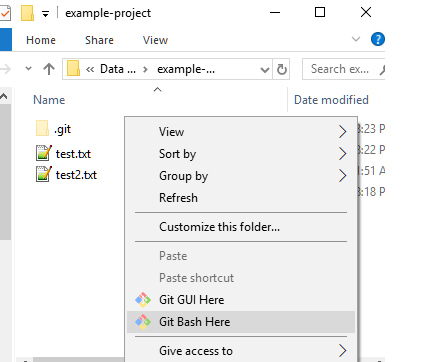 What is Git Bash emulation? 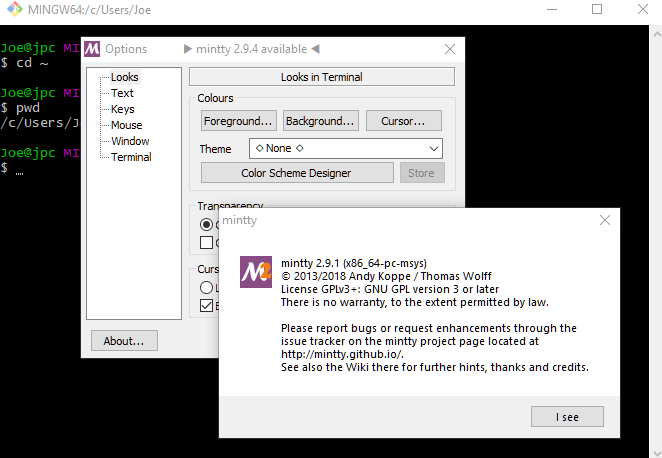 I prefer to use Mintty window (git-bash.exe) as it's easier to copy/paste/search via right click menu there. Git bash for windows also informs us if we are in a working branch by showing the branch name in parentheses. The last screenshots above show (master) in cyan color.